Let me start out by saying that I am in no way trying to guilt anyone here today! My goal is to encourage you and build you up as you love on your families and maybe even help you become a better mom. 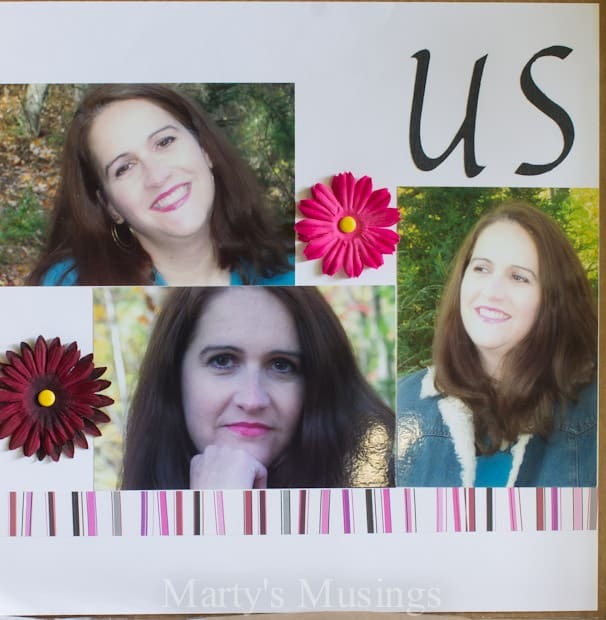 I am on a scrapbooking retreat this weekend so I thought it would be a great time to touch on how this passionate hobby of mine has changed through the years. 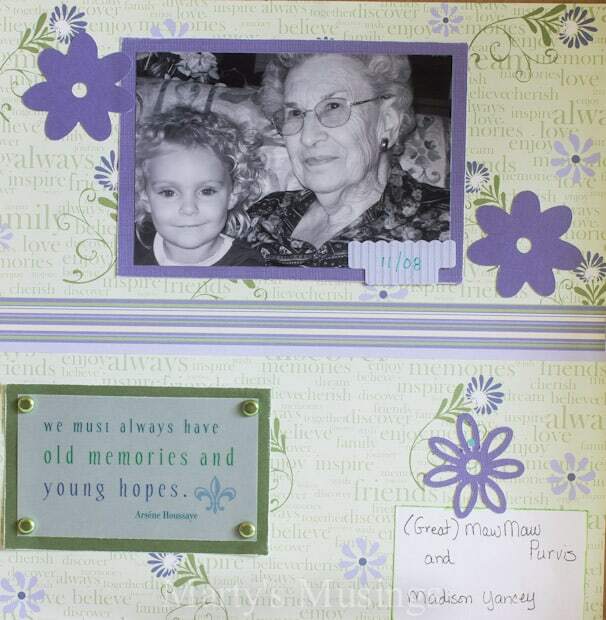 I have been an avid scrapbooker since about 1996. My first pages were AWFUL. I jumped into this new hobby without looking at the first page or reading a single how to book. Let me just say that decorative scissors were not my friend! I have more pictures than I can count with square heads and misshapen bodies and absolutely all the good stuff (background, details, etc.) completely chopped out. My style has evolved as my journey through mothering has passed through different seasons. 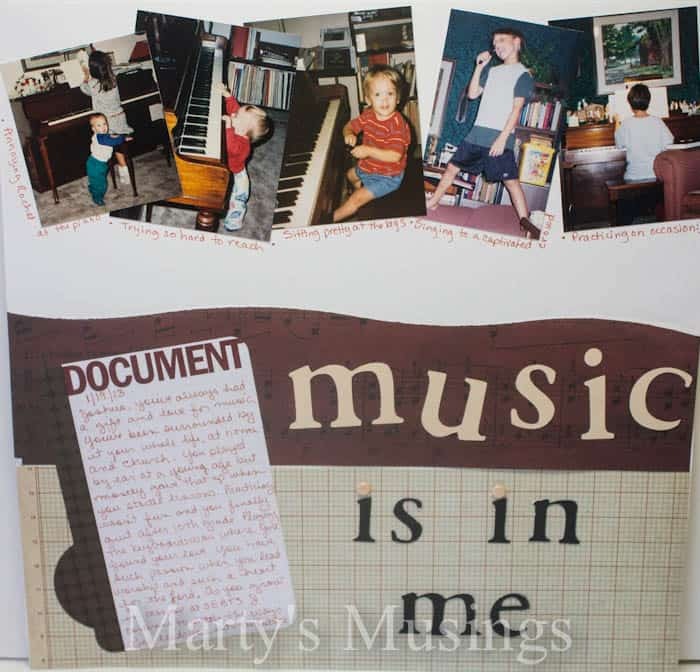 But there are certain things I want to remember about why I started scrapbooking in the first place. I am leaving a legacy. 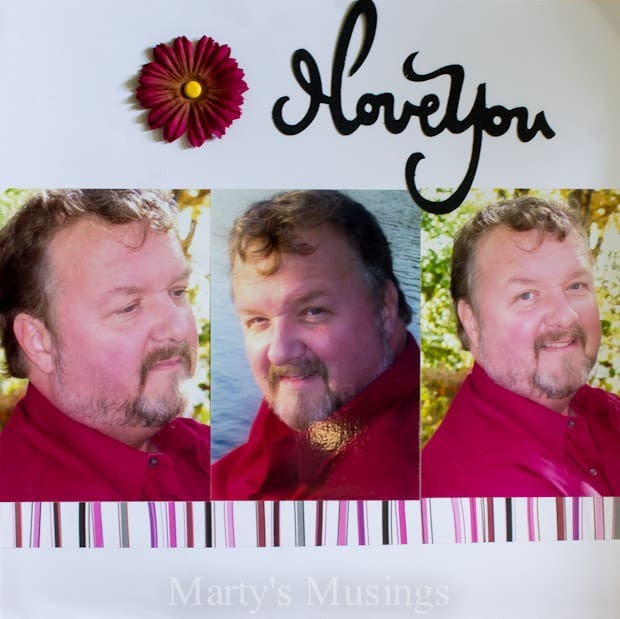 When I began I wanted to make sure I recorded our family memories. As I’ve continued through the years I’ve realized how important it is to leave my family something of myself. My dreams and goals, successes and failures. Lessons learned and passed down. Funny stories that no one else outside the family would understand. 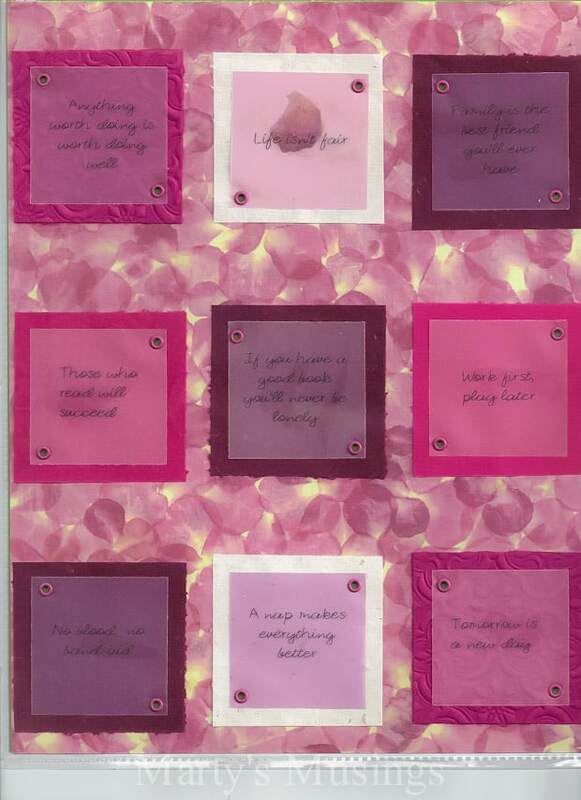 Words of encouragement to fill their hearts every day. Proof that they are chosen and loved. 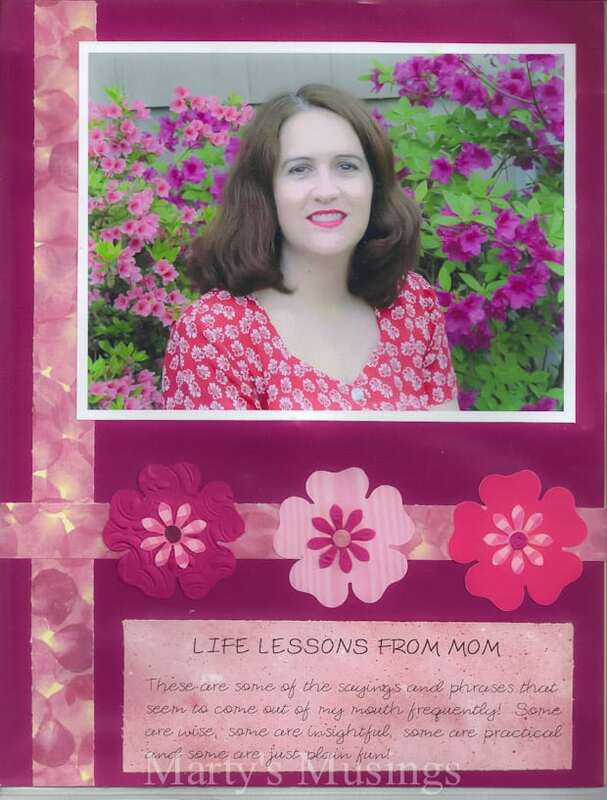 I want to embrace motherhood and share many of the quirky “momisms” that I’ve uttered through the years, those sayings that are uniquely mine. One of my favorites? No blood, no bandaid! With multiple kids frequently getting hurt I finally drew the line at bandaids for these injury prone, love starved children! One saying I still live by? A nap makes everything better! I am using my God-given creativity. Maybe scrapbooking isn’t your thing, but I’m guessing you find a way to express yourself through knitting, photography, cooking or some other form of creativity. I started out scrapping on 8 1/2×11 pages but switched a few years ago to 12×12 and love the larger layouts. I don’t scrap chronologically most of the time but like to draw connections through the years, often pairing older pictures with more recent ones. I love to use notes, letters and memorabilia on my layouts. In 2008 I started using Project Life, and I love the way it details our everyday life. As my blog responsibilities have eaten away at my free time I rely on Project Life to keep a record our lives one year at a time. I am able to gain new perspective. Looking at layouts I’ve created through the years not only helps me laugh at our follies and styles but reminds me that although we’ve been through heart wrenching struggles we’ve also survived them. Helping our children’s wounded hearts heal has helped Tim and I face many of our own unhealthy relationship issues and has made us stronger and more resilient. These pages remind me that it was he and I before we had children and one day will be the same! As you can tell, there is nothing very complicated in my scapbooking style. I like a nice clean (usually symmetrical) combination of journaling and pictures. It will give you a purpose. Scrapbooking helps me look outward and not just inward. Sometimes it takes conscious effort to look back on our hardest years and remember God had a plan and purpose for them. Some days I just need to remember how we used laughter to help us survive. When the hard times hit scrapbooking lets me refocus and remember God’s faithfulness through the years. Their oldest sister dragged them outside, gave them these Santa hats and took pictures when I was gone one day. Now their shenanigans are recorded forevermore! Once I switched to 12×12 pages I never looked back. 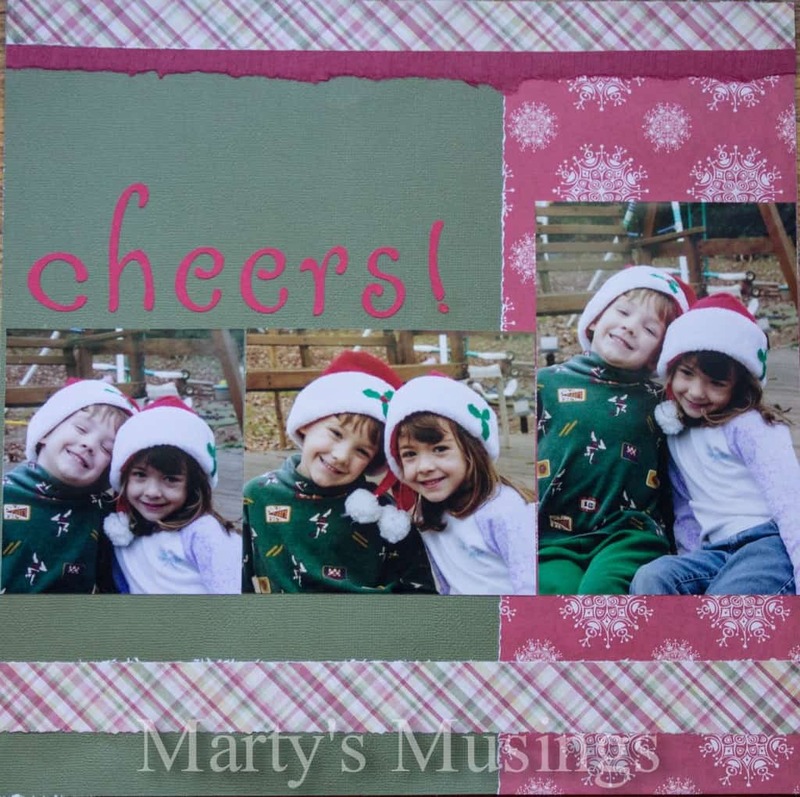 One of my intentions is to take my favorite smaller layouts and mat them on 12×12 paper with maybe an additional embellishment or two and file them in my larger 12×12 albums. It reminds me to make my days count. I am soon to be a grandmother. My youngest two will graduate in three years from our homeschool. Life is flying by and I don’t want to forget that I still have an important role in the life of my family. As we maneuver through these years of parenting adult children I don’t regret one moment of the years I stayed home loving and nurturing my children. I had the opportunity to walk my parents through their last years and my children saw me honor my parents in the same way I hope they will one day honor Tim and I.
I’ve never proclaimed to model perfection. My prayer is that each day lived had importance beyond what I could possibly see. 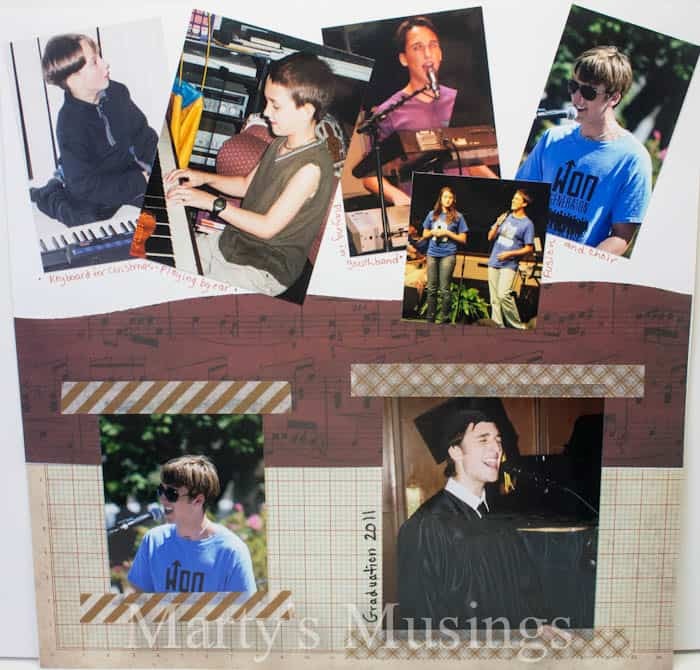 This last layout just chokes me up, as I see the progression of my oldest son’s life spread out before my eyes. My son Joshua is now a husband and we have a precious daughter-in-law as part of our crazy clan. There is tremendous blessing in recording our lives through both pictures and words. This layout of my mom and niece is one of my all time favorites and reminds me of the connections through the years. 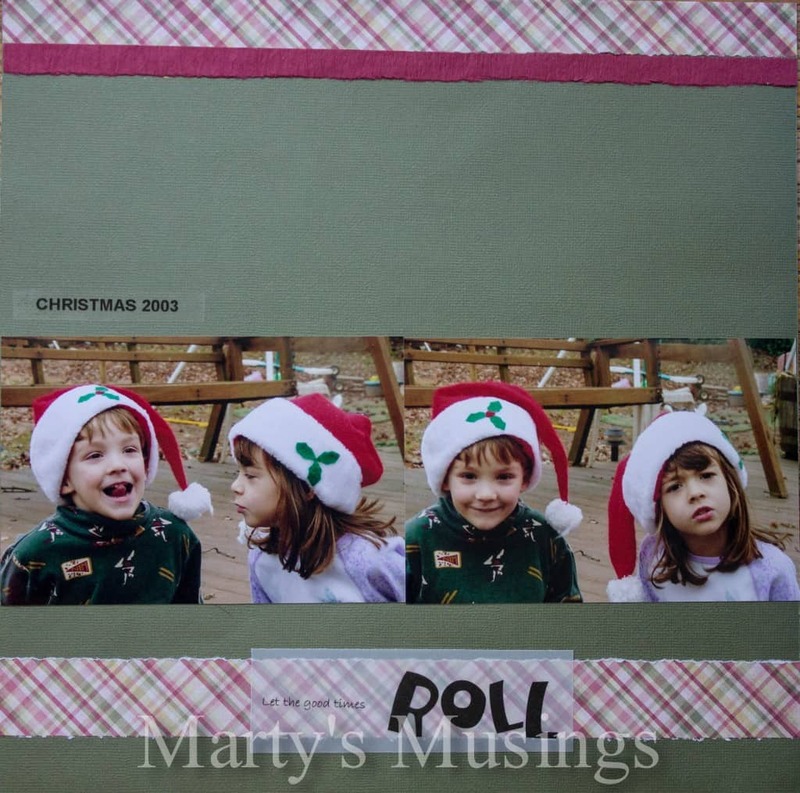 Do you scrapbook or are you the family photographer? Think this all sounds too complicated and too time consuming? 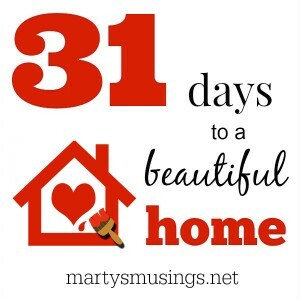 Then check out my post on Project Life Ideas for the Busy Woman. It’s just for you! I definitely believe in leaving a legacy, which is why I blog. 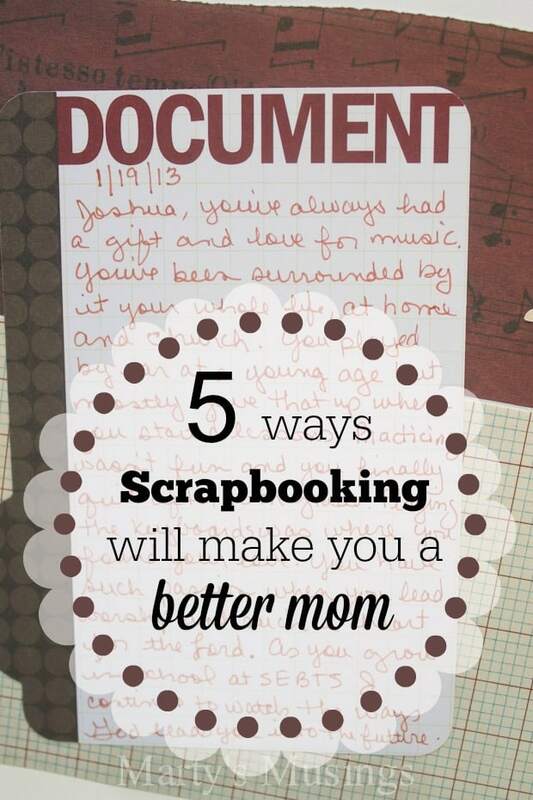 Scrapping is definitely a way to let your family see where you’ve been. It’s hard for me to find the time to do it which is why I’ve been thinking about digitally scrapping. But printing it out is so expensive … I’ve been considering smaller formats so it would be cheaper to print. Would you share why you like the 12×12 so much better? Thanks for connecting with me Jerralea. If I didn’t have a room full of supplies I would probably consider digital. My favorite, easiest way for recording is Project Life and they also have digital versions. I’m very tactile so I do love having the albums to look through. I have a category under DIY which is Project Life and you can see some of the layouts and my thoughts on the system. Good luck! Hi, Romany. I’m so glad you found my post! I am a huge Project Life fan even though I was a “regular” scrapbooker for years. Now I blog for a living and still get to incorporate all my creativity but don’t have as much time. Project Life is my answer! Have a great week!